When we talk about Data migration of Onboarding system or integration with External ATS and External HRIS, That time it is very critical to move the data from one system to another system. Let us say if we are going live with SuccessFactors Onboarding and customer has some Onboarding is in process in the legacy system and customers are looking to migrate the in process candidate to SuccessFactors Onboarding they we can use some methods of doing it. Let us deep dive in to it. Let us assume this type of scenario where customer has External or Non SAP Applicant tracking system may be SAP eRecruiting or Taleo or any other popular ATS and customer wants to start Journey of SuccessFactors with Onboarding. Then we have to integrate these system as a input to SF Onboarding. 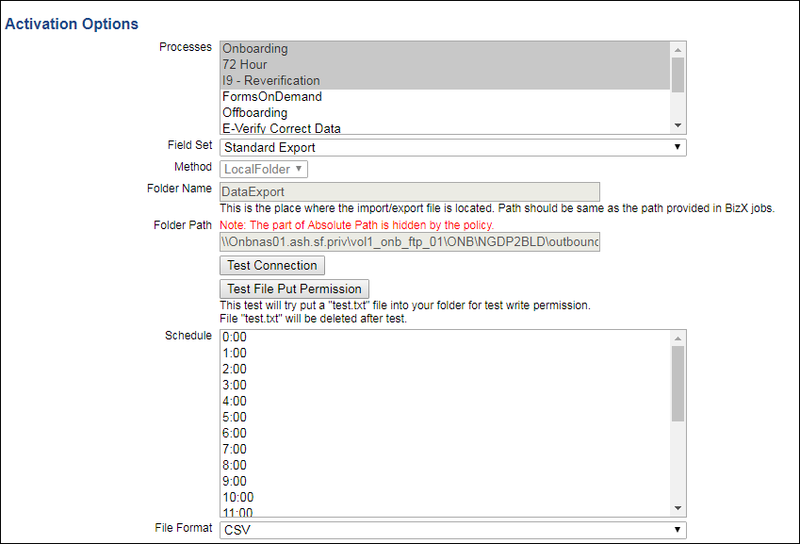 Now if we have candidate in ATS (Non SF) who accepted the offer and we have to start Onboarding Process Then External System has to provide XML / CSV file in predefined format to Local folder from where Onboarding can pick up. This is a recommended if we have to do it once a while and no automation is required in the system. So to define the process in Pictorial form would be something like this. Another case open when we have to make the permanent solution or long term solution of integrating SF Onboarding with External ATS then we can use Web service provided by Onboarding. In this case External ATS will call Web service of Onboarding and push the XML which contains the candidate data to SF Onboarding. In this case the process will have slight change. You can download the XML format from Onboarding Instance from settingsàManage Employees à Mass Import. To get the Web service credential which will required by Third party to access SF Onboarding web service can be found from Provisioning. just Navigate to Company Settings and On/Offboarding Settings. Please refer below screenshot for the same. It is my recommendation to assign all the candidate to PHV (Post hire Verification step) after this is integration execution and complete the process of Onboarding in SuccessFactors. Now let us look at other side of the integration. When we have implemented SuccessFactors Onboarding and post Onboarding process completion the Employee data should go to external HRIS may be Oracle HRMS or PeopleSoft etc. in that case also we can have automated integration with SF Onboarding so without manual intervention all the candidate who have competed the Onboarding process will go to HRIS and ready to hired in the third party or Non SAP System. To achieve this Below process can be followed. To achieve this integration first we need to create a data dictionary in application. To do so navigate to Onboarding-> Settings->Data Dictionary. (Shown in the screenshot as well). After Navigating to this location you need to create the list of fields in the Integration Name Space and Standard Export Entity. Just add all the data key to this entity. Which will help the extract all the information. This will give the CSV output to local folder and from that Local folder HRIS can pick up the data. So In this blog we have seen the integration from External ATS and External HRIS with SuccessFactors Onboarding. This is the method we have followed in one of the implementation which was successful and running perfectly. Is there any checklist we need to go for checking ATS (non SAP/non SF) compatibility with SAP SF Onboarding ? In case ATS is not compatible, any work around ? Though we’ll recommend entire RX suite with Onboarding to clients, is there any scope ? Any ATS which can access Onboarding webservice can be used for this integration. In my case I had seen this with Oracle HRMS and they written a code in Java to access our webservice and push the XML file. I am finiding it useful to start with Onboarding!